While it is always an exciting day at our house when we see strawberries on sale for $1.67, the best way to save on produce is to shop your local Farmer’s Market. Right now at your Farmer’s Market you will see beets, carrots, mushrooms, lettuce, and more. If you are looking for a source that constantly updates, check out the National Fruit & Vegetable Retail Report issued by the government every couple of weeks. This report gives the top 10 fruits and vegetables and the national percentage of which fruits and vegetables are in store ads. 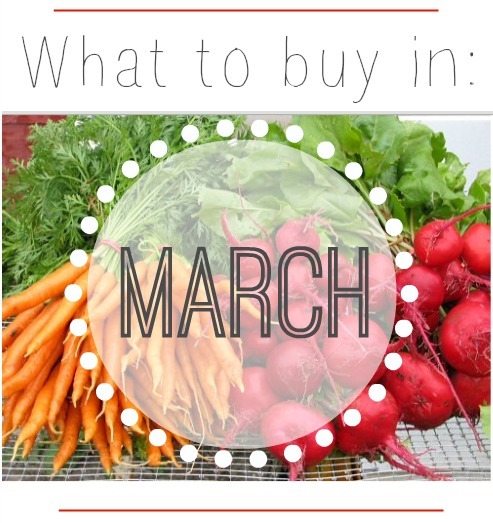 You can also go here for tips on understanding the market report and how to get the best prices on produce.